Once upon a time, the most common business models were strictly transactional: a customer needed a product or service, identified a provider and made a purchase, then provider and customer went their separate ways. Today’s consumers, however, aren’t looking for one-time transactions but long-term relationships. Whatever they’re in the market for — office supplies, fitness classes, streaming content or software as a service — customers are looking to settle down with businesses they trust. In response, many businesses are adopting recurring revenue models in order to increase their influence and build stronger relationships with customers. In fact, Forrester’s Q3 2017 Wave Report found that, of the companies looking to upend their business models in the next year, 29 percent were prioritizing the adoption of a recurring revenue-based business model (either simple subscription, consumption-based or a hybrid of the two). Of course, with a business model transformation comes a transformation of the systems and processes that support it, and in the same report, 40 percent of respondents said they needed to adopt new technology to enable their business model changes. One of the most critical systems supporting the recurring customer relationship: An intelligent billing platform. As business models become more complicated in response to growing and evolving consumer demand, they require billing systems that can keep up with clients’ individual usage patterns, product needs and service packages. The systems that did the trick for traditional one-off transactions or simple subscriptions are no longer enough, and today many businesses see their legacy systems as barriers to growth. The business landscape is shifting faster than ever, and that means it’s critical for companies to implement systems that make it easy to pivot based on the whims of the market and individual consumers — from predicting demand for key products and services to supporting experimentation with new or modified billing models to testing new offerings on the market. Traditional models may be top notch for one type of billing, but today’s models need to be ready for anything. MGI Research reported that 42 percent of companies experience revenue leakage, and it’s a sure bet that much of that leakage is due to manual tracking of customer behavior. It’s one thing to use spreadsheets to keep track of one-time purchases and simple subscriptions, but when businesses start working with consumption-based pricing models, keeping track of individual usage time, add-ons, tiers and tapers and everything else that will go into each customer’s invoice…well, you can see how it might start to get messy. Intelligent billing platforms remove that headache, keeping customer data and changes up to date to help businesses ensure accurate, efficient billing. To stay ahead of the market and provide continuous value to customers, it’s vital that product owners and decision makers have visibility into customer behavior through metrics like churn, retention rate and customer lifetime value, as well as annual recurring revenue. Leading intelligent billing platforms report on all these data points, giving businesses the insight they need to ensure their offerings are meeting customers’ expectations. 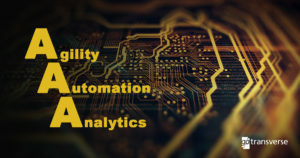 If your organization is one of the many that are shifting to more complex, recurring revenue models in order to maintain deeper customer relationships, look for an intelligent billing solution that can provide the agility, automation and analytics you need to ensure accurate, pain-free billing and revenue management. Learn more in the Gotransverse Executive Guide to Intelligent Billing Platforms, and contact us at info@gotransverse.com for more information on how we can help your organization build and maintain recurring customer relationships through intelligent billing.